Counselling is focused on helping people with emotional distress which stops them from being able to function as well as they would like. Counselling timeframes can be as short as 6 sessions or less or as long as 3 years or more once a week. Counselling is more concerned with getting people who are functioning below normal back to a normal level. The types of problems that are suitable for counselling are bereavement, relationship difficulties, parenting problems, work-related issues such as bullying, stress, a general unhappiness with life and family challenges. There are many different types of counselling models to choose from. One psychologist recorded 450 different types of therapy so you would be excused if you found the whole area confusing as many counsellors do too. • The Psychodynamic, which attempts to make conscious the unconscious motivations and their origins which drive us all and through such understanding enable beneficial change to take place. 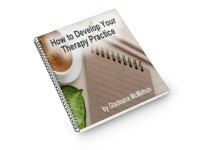 This approach does not aim to teach strategies or techniques to clients. • The Humanistic, which sees individuals as unique and focuses on creating a therapeutic climate where the individual can get in touch with his or her own specialness and by doing so the unwanted aspects of behaviour will change. • The Cognitive-Behavioural, where the emphasis is on using skills and strategies to change self-defeating thinking and behaviours. Cognitive-Behavioural therapies are likely to be short-term and focused whereas psychodynamic and humanistic are more likely to be longer-term. There is a shortage of Cognitive-Behaviour Therapy (CBT) in the UK even though the National Institute of Clinical Evidence (NICE), the body that advises the NHS on the best treatments, has listed CBT as either the only or one of the treatments of choice for a variety of psychological conditions. Psychotherapy relates to therapeutic interventions that are geared towards people whose personality is damaged in some way. Perhaps the person has been given a label such as “personality disorder”, which is a way of describing the variety of ways an individual may not be able to function. For example, Dependent Personality Disorder would be where a person is unable to function independently and is always looking to another person to look after them even if it means staying in a highly destructive relationship. Alternatively, a person may develop a condition such as Obsessive Compulsive Disorder where she cannot leave the house or continue to work because the fear of contamination is so great leading the person to wash their hands obsessively many times even to the extent of making them bleed from washing. This would not be considered a personality disorder but would be considered a condition serious enough to need more specialist help. Psychotherapy is usually long-term of up to 4 or 5 years and if the psychotherapist is of an analytical persuasion visits may be twice instead of once a week during this time. As with Counselling there are many differing types of psychotherapy and it is important to chose the right kind. Many psychotherapists think that the particular approach they have trained in is the only valid approach and this can make it difficult for the individual to make an objective assessment. Coaching is aimed at people who have the desire and the ability to use a personal and/or professional development tool. Coaching is skill-based and forward-looking and is usually short-term for, say, between 6 and 12 sessions. However, the length of sessions can vary from 60 to 90 minutes. Some people may see a coach weekly or have one or two meetings weekly and then move on to fortnightly or monthly depending on circumstances. Coaching is about using strategies to get the best from life and a coach helps you set goals and consider what you have to do to achieve these. One way of looking at it is to imagine that coaching takes someone from a zero position and moves him or her to a plus position. Coaching is not meant for people in emotional distress. One way of thinking about this is to imagine two people facing the same situation – one may feel nervous but is able to use strategies to change matters. The second person’s anxiety is so great he or she is unable to think rationally about the situation and finds it impossible to use the strategies that will help. The first person is a typical coaching client whereas the second is a counselling client. No amount of coaching will sort out emotional baggage that requires counselling. If you go to see a coach when you need to see a counsellor then expect your coach to refer you on to a counsellor after he or she has explained why coaching is unlikely to help you. However, coaching can often help people who have completed counselling to move to the next level. This is a really interesting contribution to the discussion about the boundaries between these three disciplines. Thank you.